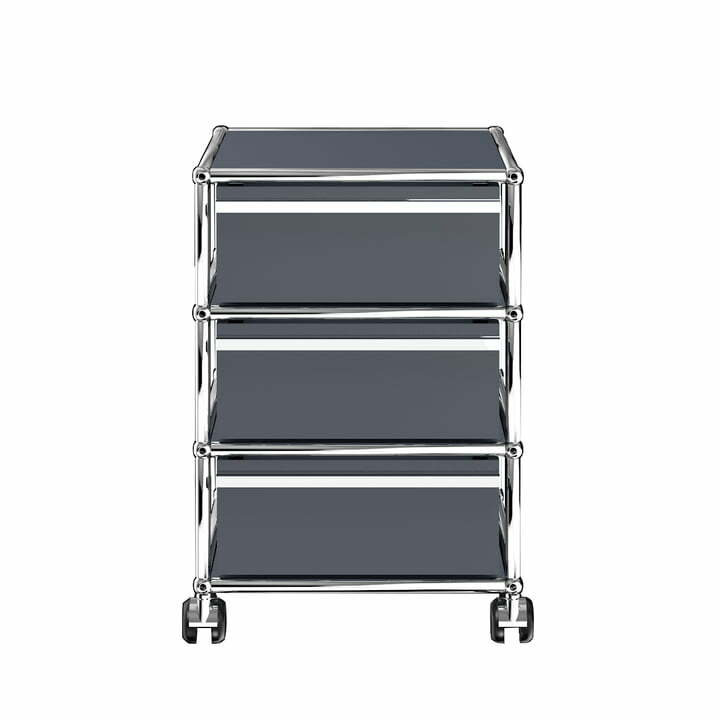 The mobile cabinet with three drawers by USM Haller is a classic among storage trolleys. For decades, the timeless container has been used in offices as well as homes and has become indispensable in many way. In the workplace, the mobile cabinet is the perfect storage solution for files, office supplies and stationery next to the desk. At home, the container is a practical and flexible coffee table in the living room, bedroom or hallway. The mobile cabinet with three drawers is made from powder-coated steel available in the classic USM colours. 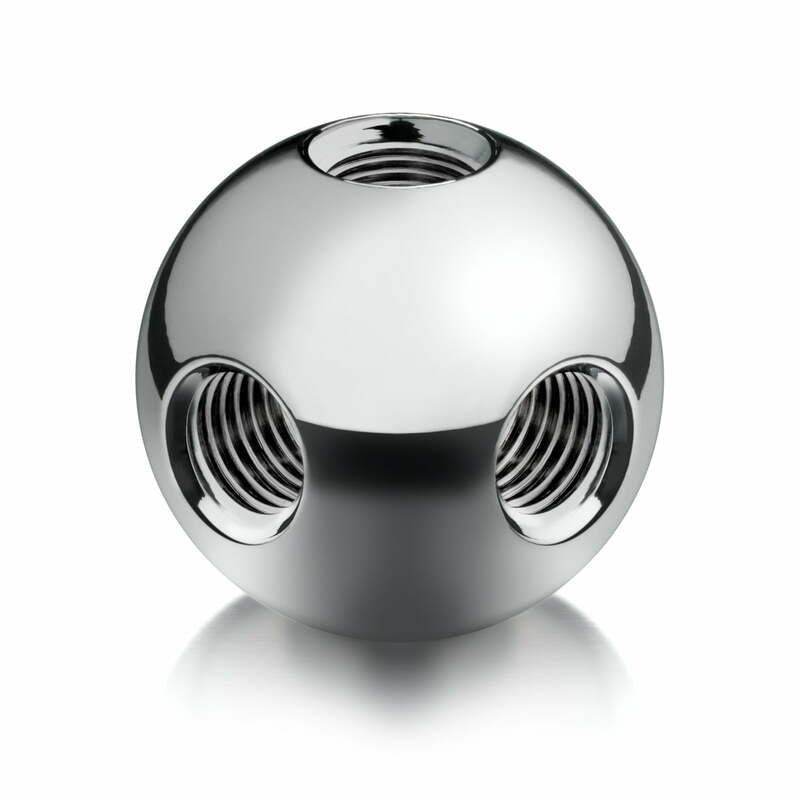 The frame is made of chromed rods, which are connected by the iconic, patented USM balls, for which the Swiss manufacturer has become so famous. Various things can be discreetly stored away in the three drawers of the cabinet that can be pushed wherever it is needed. All products and furniture by USM Haller can be changed and expanded at any time thanks to the USM ball joints. Isolated product image of the USM Haller - Mobile Cabinet with three drawers, anthracite grey. The mobile cabinet measuring 41,8 x 52,3 x 60,5 cm with three practical drawers is made from powder-coated steel available in the classic USM colours. 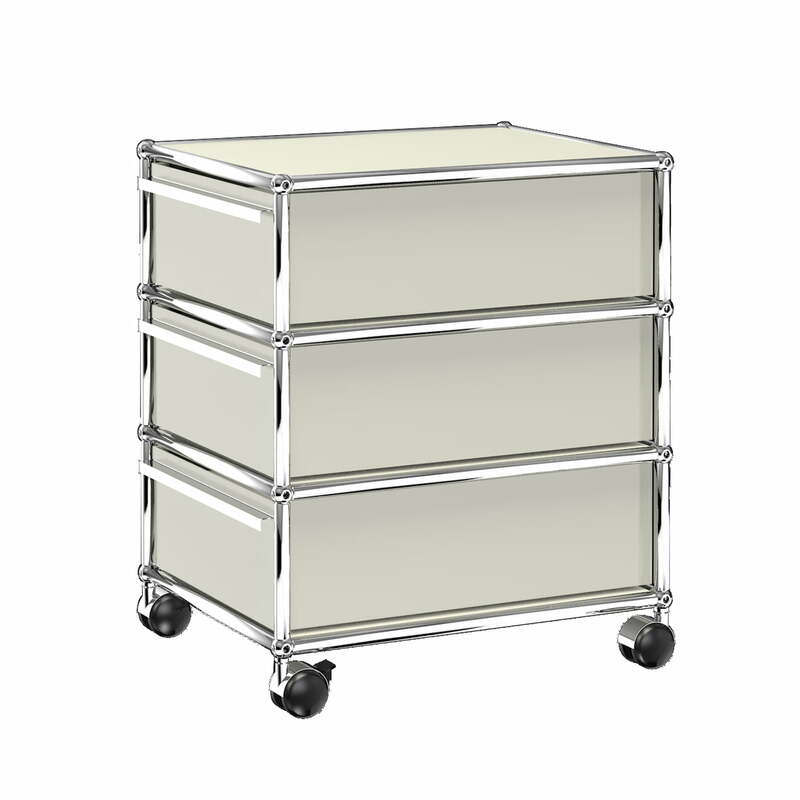 Isolated product image of the USM Haller - Mobile Container with three drawers. The mobile cabinet with three drawers by USM Haller is a classic among the storage trolleys. For decades, the timeless container has been used in offices as well as homes and has become indispensable today in many way. Isolated product image of the USM Haller - Mobile Container with three drawers, graphite black (RAL 9011). The mobile cabinet measuring 41,8 x 52,3 x 60,5 cm with three practical drawers is made from powder-coated steel available in the classic USM colours. The USM call joint is the heart of every piece of furniture in the USM collection: A small ball that acts as a flexible joint to connect the rigid steel rods. Lifestyle product image of the USM Haller - Highboard S with two drop-down doors. 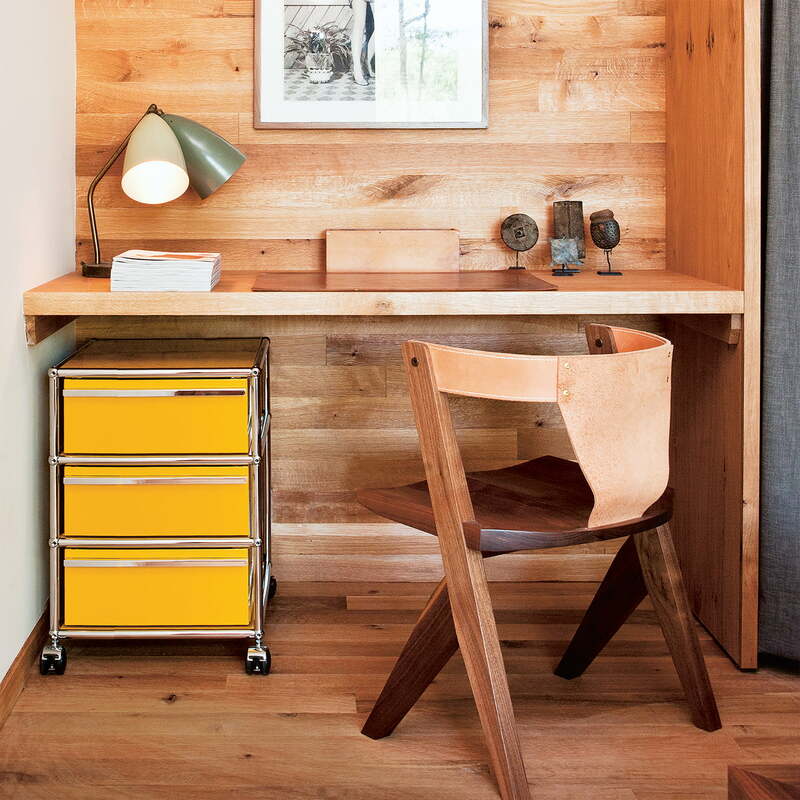 The piece of furniture by USM is perfect for the office and offers storage space for files and stationery. Lifestyle product image of the USM Haller - mobile cabinet with three drawers. The mobile cabinet is the perfect companion in the workplace, stylishly stowing office supplies.